This week, ace trainer and coach Michael Tritthart shared his five tips for nailing tech in 2017. But don’t worry, leveraging technology doesn’t have to mean learning code or building apps. In most cases, Michael shared tips that help you get more from the tasks you’re already performing every time you get a new lead or client. Here are Michael’s top five tech tips for 2017. BoxBrownie is perfect for agents who haven’t learned how to use Photoshop, or who are hoping to avoid the high price of keeping a designer on contract. If you’re still looking for your “One Thing,” Tritthart says it may be time to go fully local. And a great way to get started is to select a niche (or several), then create hyperlocal pages that show your expertise and service. The hardest part, of course, is getting started from a blank page. Thanks to Michael, you don’t have to! He’s created a blog or neighborhood page template that allows you to fill in the blanks (and especially the keywords) about your favorite local traditions, parks, dining and more. Here are Michael’s local pages templates, which are housed in Google Drive. For even more ideas on how to capture new leads online, check out additional resources here. 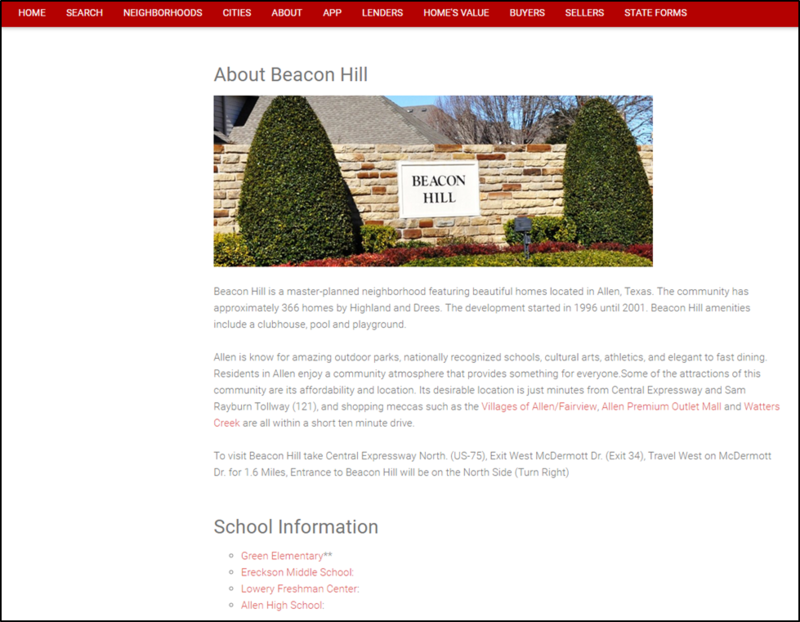 Here’s an example of an agent who used Michael’s template to create several neighborhood pages on her site. Visit her site here. Be sure to give people a chance to convert on your site. Whether you’re using SmartZip’s Smart Home Price landing page or another offer, it’s important to give your leads a way to get even more value from you as you capture their information. When people are searching for a new agent, they won’t know to look for your name. Still, many agents focus on pushing their name as the #1 search term on Google. Another option, of course, is to select a term that many locals will google as they search for real estate — and then tie that term to your business. Michael gave the example of Barbara Prinsell, a Texas agent who has attached her business to the online term “Patio Homes,” which is a type of McMansion home that is common in her market area. On average, Barbara says that only 1 in 10 of the buyers and sellers she works with are “Patio Home” transactions, but the term acts as a funnel to bring in local clients who think they may be interested in buying one. What’s the “one thing” you could be known for online? Test out this metatag generator, which can help you determine your new online niche. Plus, Google loves to reward its users. So every time you create a map, you can also add a quick profile and a backlink to your site, helping you to attract new visitors who may not find you otherwise. Check out how agent Ryan Rite created a map that offers distinct information about every neighborhood and school in his area. Google seems to have given up on Google+ as a social network, but they are still committed to being the go-to spot for local reviews. And one way they’re going after Yelp is through Google Local Guides, where users submit information, reviews and more about the places they’ve visited. By offering reviews, you can earn rewards from Google (like free Google Drive space) while subtly reinforcing that you’re a local expert even when you’re not talking about real estate. Keep it pleasant. You’re representing your business, so only review places that you can write about positively. In other words, review the donut shop you love, not the one you hate. Try adding a watermark to photos you upload. Local photos are going to get a lot of views, so you may want to include a watermark that identifies you and your business on the photo. Michael mentioned that he has tried a few different approaches, including a large black banner in the middle of his photos. Remember to do what feels right to you. These five tips will surely boost your 2017 business and help you to identify more buyer leads. But if you’re looking for ways to identify sellers near you and from your sphere, it may be time for predictive analytics. Get your free territory analysis today.